Apologies it doesn't go todays makeup! I've expressed my love for the Topshop Lip Sticks before, I actually have three including Coy, Powder Room and this shade, Clueless! 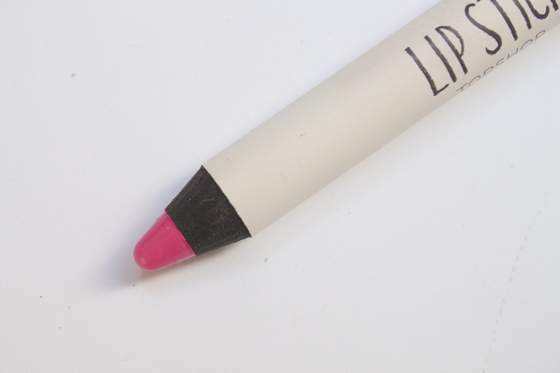 Clueless is a bright barbie pink lipstick, with blue undertones in a chubby lip pencil form with a matte finish. Compared to the other two Topshop lip sticks I have I think this one is much easier to work with, its far creamier and less powdery on the lips. I think it has the best formula of the three I have and would say more people would like this finish to the others. Its creamy and smooth but lacks the chalkiness of the lighter two shades but is still very matte and full coverage. 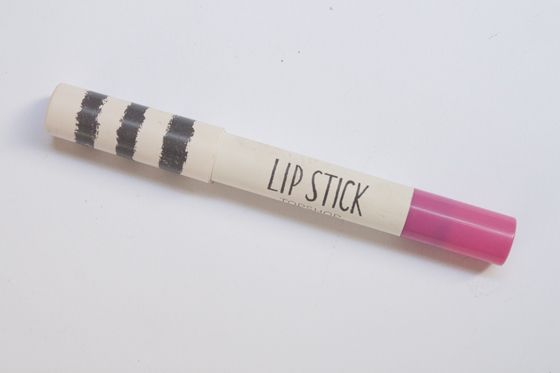 I think the name and the shade are inspired by Clueless (amazing film!) And does have a 90's feel to it. 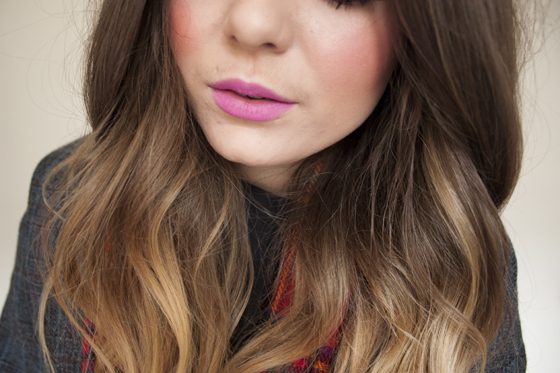 Its bright without being unwearable and would be perfect for nights out or daywear depending on the application! I really like it but it probably is a little too blue toned for me to wear all the time! I love this, i really want coy too! Looks gorgeous!! i love the film, it's amazing! Shame it's a bit blue for you. Ohh love it, the colour is so pretttyyy. its going up in a few days, i hadn't finished writing it and pressed publish instead of save! This looks lovely and I love Clueless, guilty pleasure! This colour looks so good! I love "crayon" lippies! I'll have to see if I can purchase from TopShop online? Nice colour, I haven't tried out any of the 'sticks' yet but I do love my Infrared and All About Me from the 'Lips' collection and have now got my eye firmly on Brighton Rocks! Their makeup is way better than I expected it to be! Love the colour! 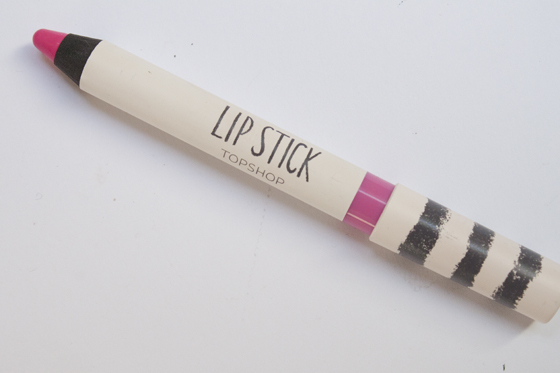 do you prefer the chubby lip pencils to the traditional lipsticks from topshop? I have only tried the normal lipsticks, not the pencil form! Would you recommend them? The color on your lips looks so much better than it does on the lipstick! It's really nice! For 7 pounds thats a great find!